Did you know you can use Fein SuperCut ($720) attachments in a Dremel Multi-Max ($100). I didn't know either until just recently. Before I get into the how... you might be wondering why you would want to use Fein attachments in the Multi-Max. Well, Fein makes a lot of specialty attachments that are not yet available for the Dremel Multi-Max. 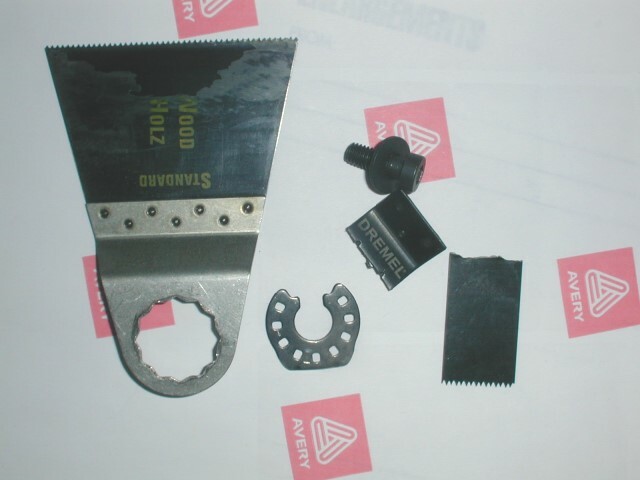 For the regular sawing and sanding attachments you probably want to stick with the Dremel attachments... they are a heck of a lot cheaper, and if or when Dremel starts making their specialty attachments, they will probably be cheaper too. Al at Multiblades.com figured out this little trick. Now you can use his blades on the Dremel too. By coincidence or not, the blades from the Fein SuperCut fit perfectly on the Dremel Multi-Max. The only problem is, there is no way to hold them on. Basically all you have to do is take an old Dremel blade, cut off the saw part, and use the rest as a washer to hold on the Fein blade. 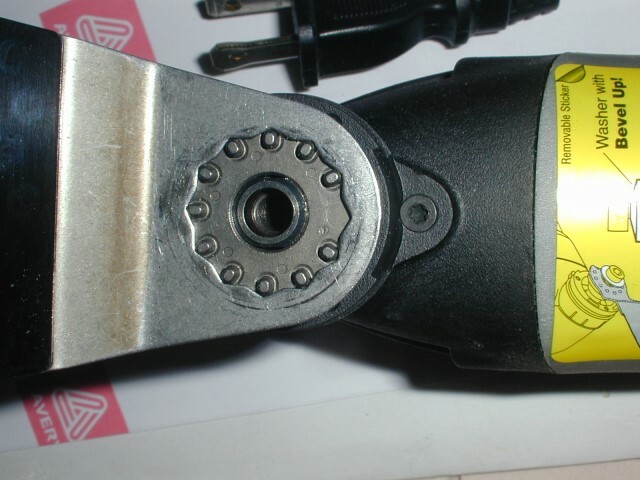 It is so simple, I kind of think Dremel meant to do this, and plans to come out with an adapter in the future. Just one more reason to buy a Dremel Multi-Max. 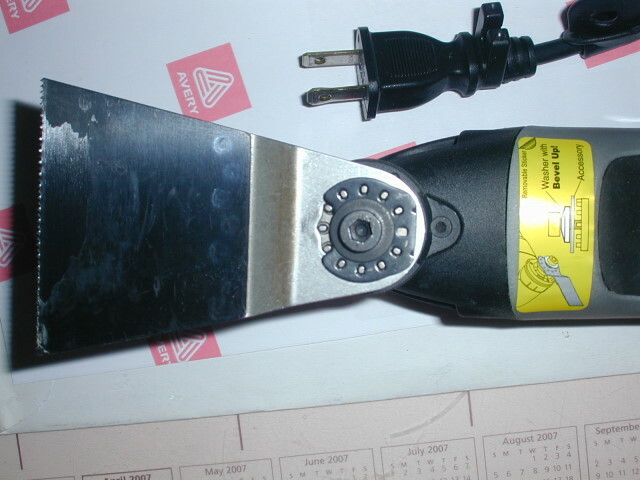 Al doesn't recommend using a 2-1/2" blade (shown) in the Dremel, he suggests 1-5/8" or smaller.